Are you ready to advance into a leadership position in nursing? The UTRGV Master of Science in Nursing Administration online degree program is designed to empower you to demonstrate leadership in the application of interventions and technology related to policy, research, finance, organization, hospital administration and health care management. Ranked #78 for best Online Nursing Program by US News & World Reports. Take your nursing career to the next level without missing a beat at work. Our MSN – Administration online degree program gives you the knowledge to manage nursing units, as well as to implement financial aspects of management across a variety of health care settings. This course provides an examination of the philosophical and theoretical bases underlying concepts and operations inherent to nursing. Theories from behavioral, natural, social and applied sciences are considered with the aim of synthesis in the development and application to nursing theory. This 3 semester credit online course focuses on introducing the student to the concept of Nursing Informatics, explores the use of computer applications and informatics issues and provides the opportunity for the student to apply the concepts to specific applications. This course enables the student to develop a research-oriented approach to the improvement of the profession of nursing. The logic, methods and techniques of the research process are explored from problem formulation to analysis and interpretation. Quantitative and qualitative methodologies are addressed. The student is provided the opportunity to recognize a researchable problem in nursing and to develop a plan for its study. This 3-credit online course focuses on the understanding of statistics as it relates to the research process. Both descriptive and inferential statistics are addressed. Computer applications for statistical analysis are introduced. This course examines leadership within the context of nursing and the enactment of the leadership role. Students analyze the role of the nurse leader in working with aggregates; defining and prioritizing population health problems. Also explored, the reciprocity between health care policies and population health, and emphasized the relationship of behaviors as well as social and political structures to health outcomes. This course provides an overview of the holistic nursing approach, along with commonly encountered chronic conditions, ranging from diabetes to sleep disorders. The student will explore interventions for conditions including recommendations for diet, herbal supplements (if appropriate), and therapies such as acupressure, guided imagery, and stress management. Treatment planning emphasized minimally invasive wellness approaches. The student identifies specific chronic disease and gives examples of holistic nursing assessment, a collaborative treatment plan with a list of possible interventions. This course focuses on clinical reasoning and clinical outcomes, information systems and management, evidence-based practice, and scholarship/scientific writing. It promotes the development of skills in using the research process to define clinical research problems with application to practice. 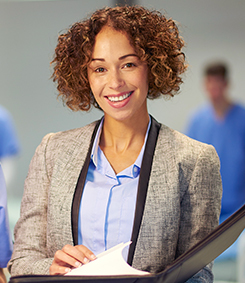 Concepts and theories related to organizational structure and the administrative process are used to examine the roles and responsibilities of the nurse manager in health care organizations. The influence of environmental, technological and professional forces on the structure and functions of health care and nursing service organization and on the role of the nurse manager is explored. This course examines organizational behavior, total quality management, change theory and team building application of implementing change, negotiation and managing conflict in an ever-changing health care environment. The course also addresses empowerment, shared governance and problem solving and negotiation models. This course presents students with the financial aspects of management across health care settings. Students examine the financial issue in delivery models in such areas as managed care and explore techniques of cost analysis, strategic planning in budgeting and marketing, and forecasting. Analysis of staffing and case mix, regulatory impacts and financial interactions with resource allocations are also included. Explores aspects of horizontal and vertical leadership central to the Clinical Nurse Leadership role. Quality management and improvement, communication processes and evidence-based practice initiatives within a microsystem are stressed. Strategies for the efficient use of resources while maintain safe and effective patient care are emphasized. This course involves delineation of a problem/issue/project related to the student’s clinical or functional area, review of pertinent literature and development of a proposed solution, along with implementation and evaluation. The student will give a written and oral presentation of the project to a selected audience. Please review all the admission requirements for the Master of Science in Nursing Administration Online degree program. For specific questions or more details, contact an enrollment specialist at 1-833-887-4842. Hold an unencumbered license as a registered nurse in your state.